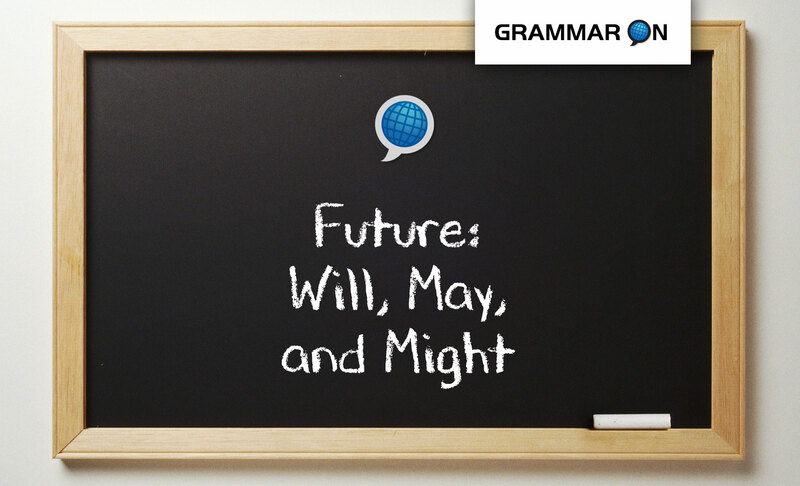 Learn how to use the future with will and may and might in English. Learn how to make predictions, speak about possibilities, and/or to speak about future actions with will, may, and might. Keep reading to download this free English lesson with exercises. Learn how to use will, may and might to speak about the future in English! Below are some words that might be used or indicate use of will, may and/or might. Any future time can be used with will, may and might. Are you hungry? I will make you a sandwich. I will turn down the TV; it is too loud. Will you love me forever? Yes, I will love you forever. I won’t stop loving you. Can I borrow $100? I will pay you back next week. How do you think the weather will be tomorrow? I think it will rain tomorrow. It won’t snow this month. Where will you travel next year? I think I might visit Italy next year. Are you watching the game on Sunday? I might not watch the football game on Sunday; I am too busy. What will you eat for lunch? I may eat at McDonald’s for lunch. I have a lot of homework to do, so I may not go to her party this weekend. **Note: We do not use might or may with the main verb in a question. How do you think the weather might be tomorrow? Do you think it may rain tomorrow? Practice using will, may and might to speak about the future in English! 1. There is definitely a party tomorrow evening at my house. 2. If it is sunny tomorrow, it would be fun for us to go to the beach. 3. I am thinking about studying French this year. 4. Jane promised to help me with my homework this weekend. 5. There is a fifty-fifty chance that she will be on time for her English class tomorrow. B. Write a paragraph with some predictions about what life might be like in the year 2099. Now, will you do your English homework? I don’t want to to hear any mights or mays! Stay posted for our next free English lesson, or even better subscribe to our newsletter!